Another calendar year has passed in football and its been another noteworthy year. From big signings, to vast managerial changes, qualifiers, thrillers and more, we look back at the best from this year. From English football to International, and everything in between, its been another fun year in the footballing World. Swansea City defeated Bradford City at Wembley with a record-breaking margin of five goals in the first major trophy final of the year. Bradford's first shot on target came in the 86th minute, but was met with their fans in joy, as they took in the experience. Swansea's fans were celebrating from the very first minute to the last, in a game where their win came big, and so did their triumph. Alex Ferguson, one of the greatest football managers in history, would bow out as Manchester United manager, with his team winning the Premier League title once again. It was a fitting send-off for Fergie at the Hawthorns, in his 1,500th and final game as Manchester United manager. Alex Ferguson's final game was an incredible one, with West Brom coming back from 5 - 2 down to draw 5 - 5. It was a monumental occasion and the passing of the torch to David Moyes. What came as the most emotional was Fergies' final time in Old Trafford, where he spoke to the fans and the players before his team lifted the trophy. David Moyes however, didn't have the best of starts to his Manchester United career. With Manchester United now picking things up towards the New Year, maybe its finally coming together. Alex Ferguson bowed out at the top, but it was the following season where his book would cause some controversy. ‘I believe that Roy Keane’s behaviour pattern changed when he realised he was no longer the Roy Keane of old', described Ferguson in his autobiography, raising some questions and plenty of publicity. But he will be remembered for an excellent managerial reign in the club, and no better farewell could come than winning the league. A thrilling Champions League final at Wembley Stadium saw Bayern Munich, by way of Arjen Robben, become the Kings of Europe in dramatic fashion. Prior to the final, the Spanish Giants, FC Barcelona and Real Madrid were decimated by the finalists as they sent out a bold statement of intent to win. Arjen Robben would taste sweet redemption as his 89th minute goal would ultimately end Bayern's misery following failure to win in 2010 and 2012. Bayern would be the victors by a greater margin when they played in the Bundesliga in November. Gareth Bale became the most expensive footballer on the World after his £85.3 million move to Real Madrid. This left a huge, gaping hole in Tottenham that seemed yet to be fully recovered from when they had their last 2013 game following managerial turmoil. While his start to his tenure with Madrid was slow, he soon got going and with Cristiano Ronaldo performing outstandingly, Madrid became a force to be reckoned with. Arsenal acquired German talisman Mesut Ozil on deadline day, breaking their transfer records in the process. Barcelona bought Neymar which brought another impacting transfer to the Spanish clubs. Meanwhile, Gonzalo Higuain departed to Napoli. Manchester City would add Jesus Navas and Alvaro Negredo. It was a hectic transfer window, but who do you think was the best transfer this year? Sound-off in the comments below. There were numerous changes once the Premier League resumed in August, with Everton, Stoke City, Manchester United, Manchester City and Chelsea changing managers. David Moyes left Everton, going to Manchester United. Early on, Manchester United were slow off the bat, but began to pick-up as the New Year approached. While the Special One, Jose Mourinho would make his profound return to the Bridge. Manuel Pelligrini replaced Roberto Mancini following his sacking, and Everton were now managed by Roberto Martinez. Mark Hughes took over as Stoke City manager. We learnt a lot about the managerial changes over the Summer, and its clear that Chelsea, Manchester City and Everton are performing better under their new managers. Sometimes change can be a could thing. In 2013, the qualifiers for the World Cup culminated and the groups were drawn. In the qualifiers, France and Portugal made it via the play-offs beating Ukraine and Sweden respectively. In the African qualification, Ghana got the most points in their region and scored eighteen goals in their qualifying matches. 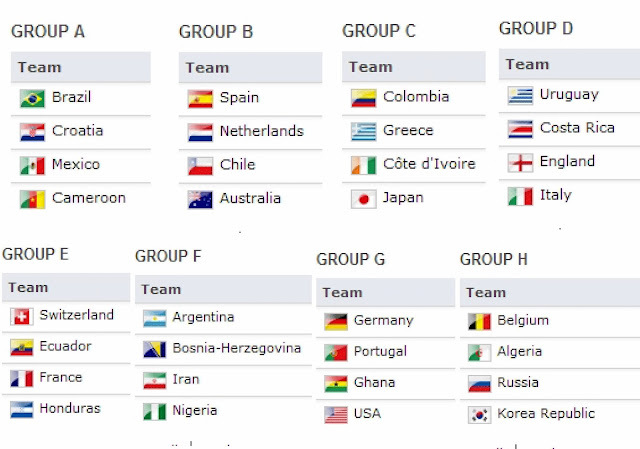 The eight groups drawn for the World Cup in 2014. One group in particular emerged as the proverbial Group of Death, being Germany, Portugal, Ghana and the United States. A very tough group there which saw all teams progress to the Round of 16 in the previous World Cup. The countdown is on for the World Cup. Cristiano Ronaldo really overtook Messi this year, with sixty-nine goals for club and country. Playing alongside quality talent at Madrid could make it their season. Well, that's it for this year's football. In a sport where we have two half-seasons in the calendar year, a lot can be forgotten especially when there is just so much going on. This year is in the books, but now we look towards 2014, with the World Cup and much more exciting football on our way. Full review and retrospective of football (soccer) in 2013, with the player of the year and more highlights.